Erika Knudson is director of development marketing and communications at Princeton University, where she leads a team of ten in strategic creative solutions for fundraising and donor engagement. 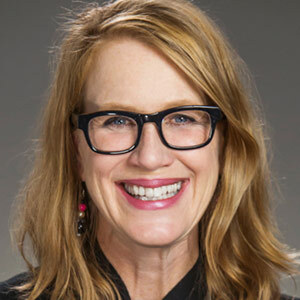 Her 25-year career in marketing and higher education includes 15 years in various roles at Indiana University; before joining Princeton she directed marketing strategy and client relations for the IU Office of Communications. She is an award-winning writer and marketing strategist, contributing author to Social Works: How #HigherEd Uses #SocialMedia to Raise Money, Build Awareness, Recruit Students, and Get Results (EDUverse Media, 2013). She has presented at Confab Central on web content and brand strategy, and is a proud “early adopter” of both social media and dogs.